Looking for a Sports Massage in Stratford E15, near The Olympic Village? Only one minute from Stratford Underground and Overground station! Ideal for Stratford E15 and Olympic Park E20 Residents in the busy Stratford E15 area of London. We are just one minute walk from Outside Stratford tube station in the Stratford Centre. Overground – Just four stops from Canary Wharf, E14 underground station to Stratford underground station. Our Clinic in Stratford E15, near The Olympic Village can provide Sports massage which can help your muscles relax, recover and regenerate to reduce your pain and restore function to your body. Sports massage can help in reducing fatigue, alleviate swelling, reduce muscle tension, promote flexibility, prevent injuries and prepare you for optimal performance. You can gain significant health and performance benefits from regular sports massage therapy. Sports massage therapy is a form of massage therapy that helps athletes avoid or recover from sports-related injuries, and typically utilises more vigorous forms of massage to facilitate muscle healing or relaxation. Massage therapy should be performed before and after a competition to prevent injuries and loss of mobility. Physical Benefits – If you are frequently engaged in sports where physical contact and bruising, such as rugby, hockey and football, Sports Massage therapy can have physical benefits. Running and cycling place considerable strain on your musculoskeletal system. Sports massage therapy can help! Physiological Benefits – Pain reduction and relaxation are the two main physiological benefits from Massage therapy. Also helping you keep healthy and competitive in your chosen sport. Techniques are always chosen to be the most suitable for your individual situation; to be the most effective and time efficient – getting you better, quicker! 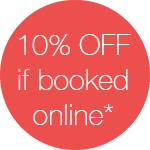 If you are looking for a Sports, Deep Tissue or Pregnancy massage in Stratford E15, near The Olympic Village today, why not book online and receive 10% discount on your 1st treatment. Sports massage deals with the management and rehabilitation of your soft tissue which has many benefits. Sports massage is not only for sports injuries, it can be used as a specific treatment for soft tissues & muscles. If you are keen on sports, a good sports therapist is invaluable. One of our fully qualified and registered professional practitioners will discuss with yourself which areas treatment is needed. 10% discount is on 1st treatment only and cannot be used in conjunction with any other offer. Appointment must be booked online. 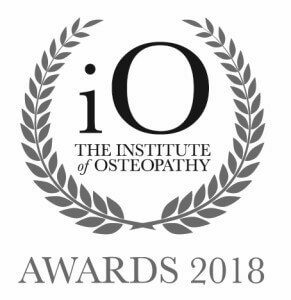 10% discount is not available on osteopathy treatments. We have three clinics in London, Canada Water, Wapping & Stratford.